Molly and Steve Saunders said the home-building effort came about when they met Antonia Dzul, a restaurant worker, as they were traveling on the Yucatan Peninsula. WAYNE — A local couple has helped a poor family in Mexico build a new home, and in doing so, they believe they’ve helped build a bridge with our neighbor to the south even as U.S. leaders continue to talk tough about that country. Last winter, Molly and Steve Saunders met Antonia Dzul, a restaurant worker, as they were traveling on the Yucatan Peninsula and visiting Tizimin, a city of about 50,000 people. 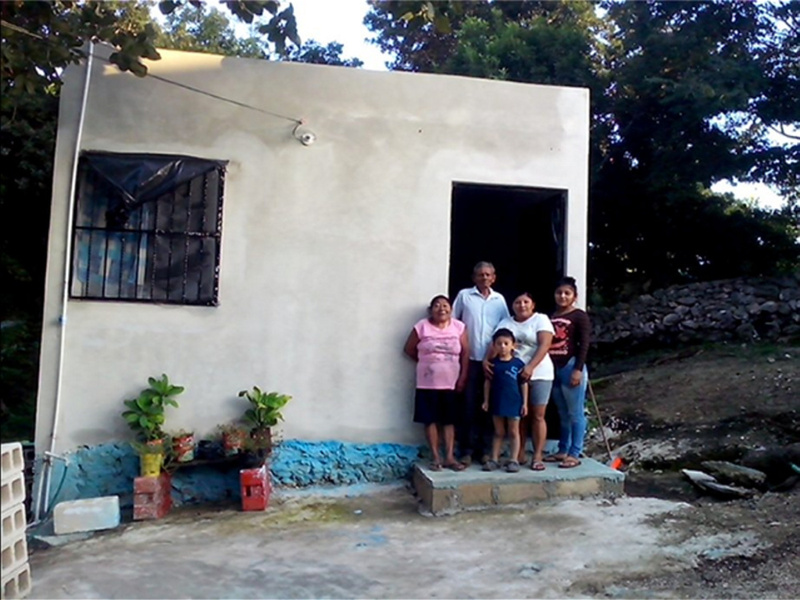 The Saunders, former Peace Corps volunteers who speak Spanish and have traveled extensively in Latin America, initially gave Dzul about $100 after reading an article in a local newspaper about how she’d been denied government assistance to replace the leaky, tar-paper roof on her home. Soon, though, the Wayne couple decided to go further by trying to raise the $4,000 that Dzul said she would need to build a new home for her parents and her two school-age children, to replace the rickety structure they were living in. “By that point, we had gotten to know the family, so we felt comfortable,” Steve Saunders said during an interview early last summer. Now, the Saunders have raised twice that amount — $8,400 — and contractors have completed the construction of the Mexican family’s new, cinder block home. The Saunders, who are both in their early 70s and own Wayne Village Pottery, were able to raise the funds both online and from people who dropped checks off at their home on Main Street. The donors seemed to fall into three main categories, he continued: those who thought helping the poor family was “the right thing to do,” those who had some connection to Latin America, and those who thought the combative rhetoric of President Donald Trump needed to be offset with goodwill. Besides proposing to build a wall on the U.S.-Mexico border, President Trump denigrated Mexican citizens during his campaign. Trump said Friday he would not consider reinstating an immigration program that protected young people from deportation without a commitment from Democrats to help build the Mexican border wall. After the Kennebec Journal published an article about the Saunders’ project last summer, a few readers left critical comments about it. But with the exception of those remarks, the Saunders said that they have not received backlash from people who agree with the president’s tone and proposals. “I think the idea of (helping) one family at a time really appealed to people,” Steve Saunders said. While large charities must spend some of their money on administration, he noted, the Saunders were able to pass almost all of their proceeds directly to the Dzul family, and they did so in phases, as Antonia provided photos and updates to show that she was going forward with the project. This winter, the Saunders are planning another trip to Mexico and said that they will visit the Dzul family at that time. It’s the first time the Mexican family has lived in a home with electricity or a bathroom. 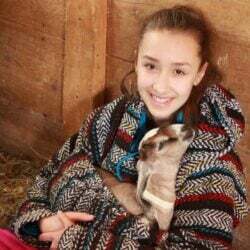 In an email to the Saunders, which they translated for the Kennebec Journal, Antonia Dzul expressed her appreciation.